One of the four Essential Elements of 4-H is Belonging. It's not more important than the other three, Independence, Mastery, and Generosity, however, I have felt like it was the first step when engaging youth through 4-H. It's a natural beginning to develop a positive environment where children feel safe and welcome. Our National 4-H Curriculum states that "Youth need to know they are cared about by others and feel a sense of connection to others in the group. As the facilitator, it is important to provide youth the opportunity to feel physically and emotionally safe while actively participating in a group. Create a safe and inclusive environment and foster a positive relationship with youth learners. Use discussion questions that encourage youth to learn from each other, synthesize and use ideas collaboratively." Bullying continues to pop up in findings from Advisory Committees and the need for a safe healthy environment is a real challenge for parents. Overcoming stigmas associated with bullying is not an easy task. One strategy is to find where a child's strengths are and what they can actually contribute to a club program. They may be good at organizing minutes, a resource for setting up a club meeting, a responsible person to report to the school principal and make morning announcements, or maybe they are creative and can make recruitment posters. Everyone has something to offer and some kind of skill set to contribute. The leaders role is to help them find their space and cultivate their sense of belonging. In the hallway of the Louisiana 4-H state office (Knapp Hall) there is a fun display with puzzle pieces. I've adapted the activity below for club leaders to use with their clubs. 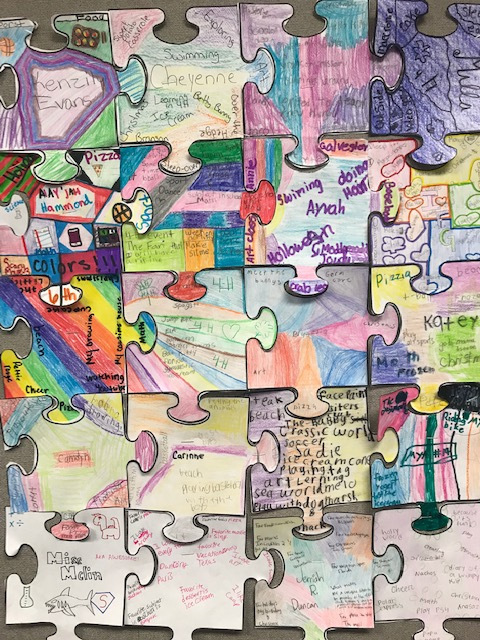 All of the pieces of the club puzzle can be pieced together on a bulletin board or wall space. Note: Copy the puzzle pieces on card-stock and provide fun fine point markers. 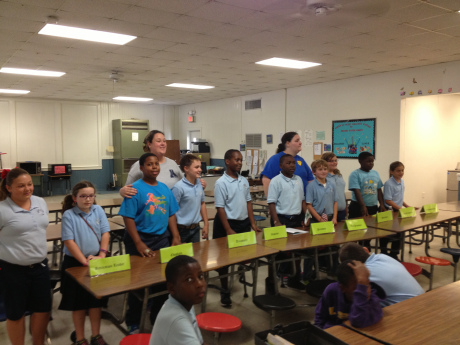 Club activity by Rosenthal Elementary, Rapides Parish 4-H.
To learn more about Belonging and the Essential Elements please see the articles below.